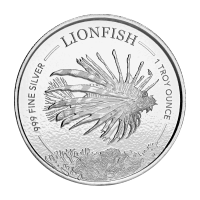 Purchase a 1 oz 2019 Scottsdale Barbados Lion fish silver coin at the lowest price from our online store! 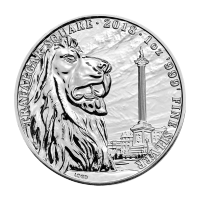 The beautiful island of Barbados has teamed up with the Scottsdale mint to produce this unique 999 pure silver coin. Known for their ornate and menacing beauty, the Lion fish is the is one of the main inhabitants of the Caribbean sea and the main feature of this coin. The reverse side illustrates a right facing lion fish, suspended over a coral reef including vivid detail with its conspicuous stripes and fin rays. The fish is encapsulated by its title overhead, its purity on one side, and its weight on the other. 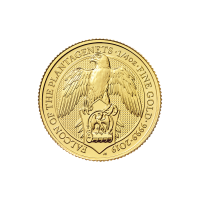 The obverse features the Barbadian coat of arms, again in radiant detail. A hand clutching stalks of sugar cane overhead, supported by a shield bearing ‘The pride of Barbados’ and the national flower, on either side of a fig tree. A fish and a pelican stand on either side of the shield in support with ‘Pride and Industry’, the national motto of the nation proudly displayed on a scroll below. 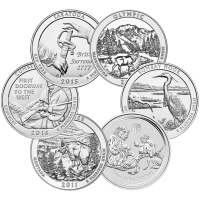 The country and year of issue as well as the coins denominational value are also included on the obverse side. Scottsdale products are always a hit among collectors and investors for their purity and attention to detail. 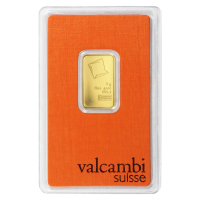 Stack your wealth in ounces and secure yours today! Voorzijde The Barbados coat of arms. Achterzijde A Lionfish in it's natural habitat. The Barbados coat of arms. A Lionfish in it's natural habitat. 1 oz 2019 Barbados Lionfish Silver Coin Purchase a 1 oz 2019 Scottsdale Barbados Lion fish silver coin at the lowest price from our online store! 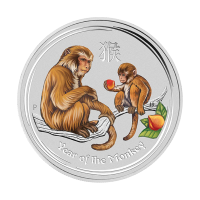 The beautiful island of Barbados has teamed up with the Scottsdale mint to produce this unique 999 pure silver coin. Known for their ornate and menacing beauty, the Lion fish is the is one of the main inhabitants of the Caribbean sea and the main feature of this coin. The reverse side illustrates a right facing lion fish, suspended over a coral reef including vivid detail with its conspicuous stripes and fin rays. The fish is encapsulated by its title overhead, its purity on one side, and its weight on the other. 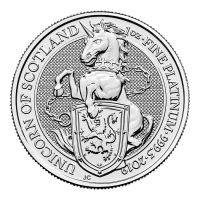 The obverse features the Barbadian coat of arms, again in radiant detail. A hand clutching stalks of sugar cane overhead, supported by a shield bearing ‘The pride of Barbados’ and the national flower, on either side of a fig tree. A fish and a pelican stand on either side of the shield in support with ‘Pride and Industry’, the national motto of the nation proudly displayed on a scroll below. 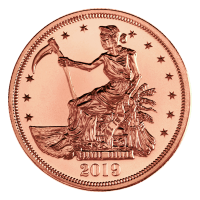 The country and year of issue as well as the coins denominational value are also included on the obverse side. Scottsdale products are always a hit among collectors and investors for their purity and attention to detail. Stack your wealth in ounces and secure yours today!